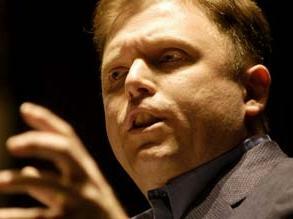 Something I have been wondering: where is the “Hatewatch” on the Tim Wise story? The SPLC, which the media assures us is a “non-partisan watchdog” that fights so-called “hate groups,” monitors our websites. This story has gone viral across the blogosphere and social networking services. There is no way it has escaped their attention. It has drawn so much attention that Tim Wise has been caught redhanded belatedly trying to edit the post. His friend Tim Wise, one of the “most prominent anti-racists” in America, is driven by a hatred of White America so intense, so pathological, that he fantasizes about death of elderly people (their hearts stopping) for watching Leave it to Beaver. These are the people who lecture us about hate. Wally and Beaver are so subversive that even their memory must be eradicated in American culture! Yet we are the “extremists” here. Heidi Beirich and Mark Potok are always demanding that conservatives condemn “hate” within their own ranks. Where are they now? That’s what I am wondering. What do you suppose they would be saying if Glenn Beck or Rush Limbaugh had wrote “slam poetry” about their gleeful anticipation of the death of elderly black people? We all know the answer. The SPLC seemingly has plenty of time to attack the “extremist ties” of the Tea Party and Andrew Breitbart for exposing Shirley Sherrod. What about their own extremist ties? They don’t want to discuss that with us. I have never seen any Tim Wise essays on the “white privilege” of Morris Dees who lives in this house in Montgomery. Wise seems content to enjoy his own “white privilege” by living in his own $579,000 McMansion in an affluent Nashville neighborhood while other people in Tennessee (the ones who professes to care so much about) live in crushing poverty. Tim Wise says he's a White anti-racist, but a little digging reveals he's a Jewish Bolshevik, anti-White racist. His recent article confirms it.